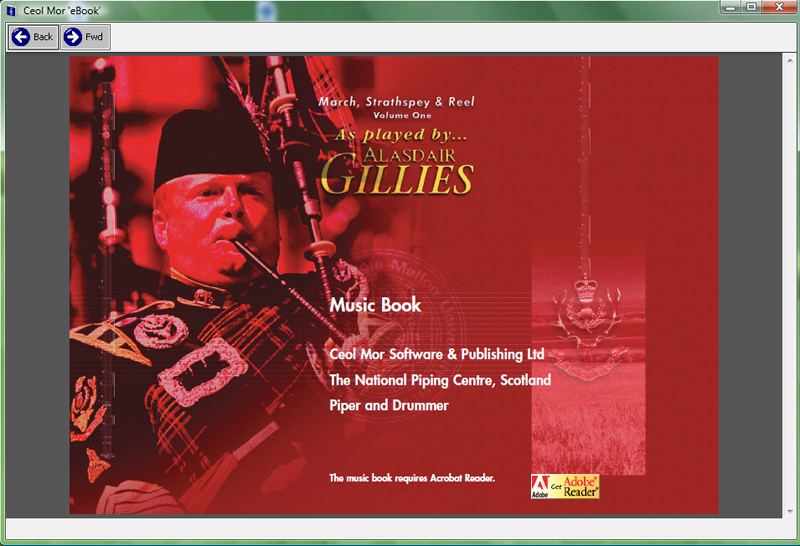 March Strathspey & Reel Vol 1, As Played By... Alasdair Gillies is an innovative product from Ceol Mor Software & Publishing Ltd. 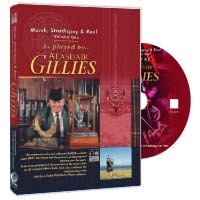 This multimedia product for Windows, not only contains a live audio recording from Alasdair Gillies regarded as the pre-eminent performer of the day, but also an eMusic Book containing all the sheet music played on this CD (over 50 of the finest MSR tunes ever written). 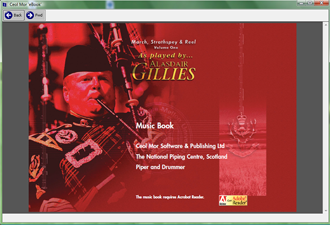 To enhance the user interaction with this eMusic Book, Ceol Mor have also integrated PiobMaster Player tutoring software into it, thus allowing the user to load listen and learn the selected tune at their own speed. 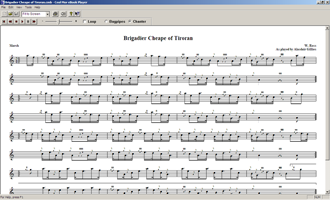 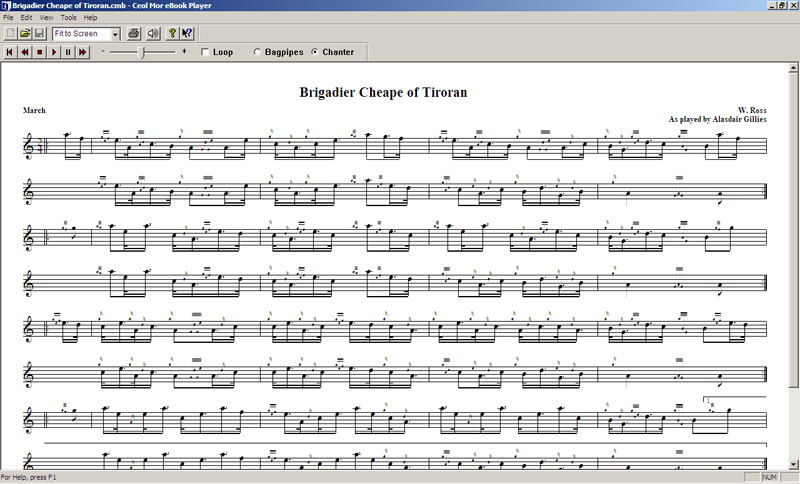 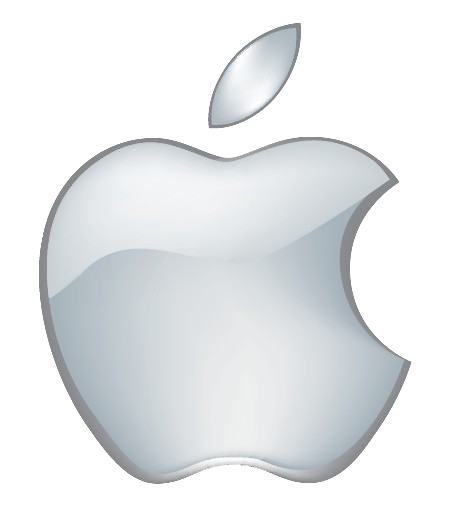 All tunes were written using PiobMaster 2.3 software.